As I have a very long overdue post for a colleague about my thoughts on blogging, one of the points I would make is that the best part of engaging in social media is that instead of looking for things, things start finding you. I enjoyed reading about your interest in architecture and health and thought you’d want to know about the winter 2015 issue of ArchitectureBoston magazine, which is on the theme of wellness in the built environment and includes three articles written by MDs! The feature articles are a nice exploration of healing, health, and wellness, from multiple perspectives, including some famous (to me) people I know. I pulled out some quotes that resonated for me. The issue is a good compendium for those interested in health and the built environment. Thanks, Renée, for thinking of me and the health professions, in our quest to perform the best for the people we serve together. So relevant to us as we completed our work on KPLantern, field work to explore the health experience of our members who are transgender. 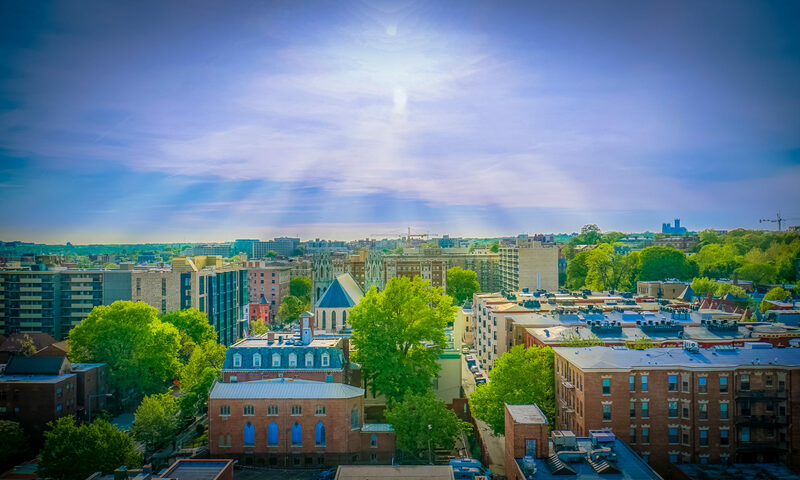 Urban Tree Canopy in the Nation’s Capital – Via Gary Hildebrand, I explored “the story of tree cover in Washington, DC.” via this story map produced by the Urban Forestry Administration of Washington, DC – I love Washington and have to make things local! It is certainly ironic that we task caregivers to keep us alive in buildings that feel dead. So, is this building a healthcare facility? Or is this building health? Once you start taking responsibility to heal things, the positive e ects just ripple further and further out.